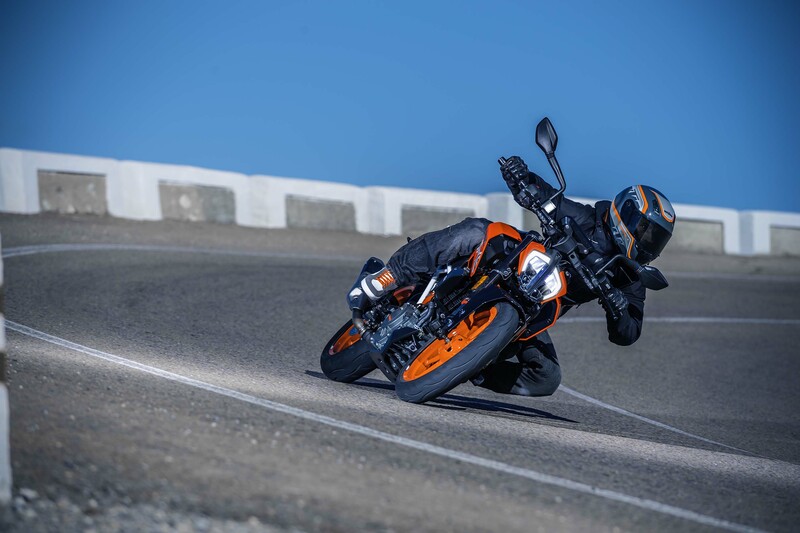 The KTM 390 Duke has sold like hotcakes since its 2013 debut, and now the pint-sized street bike is getting a facelift for the 2017 model year. 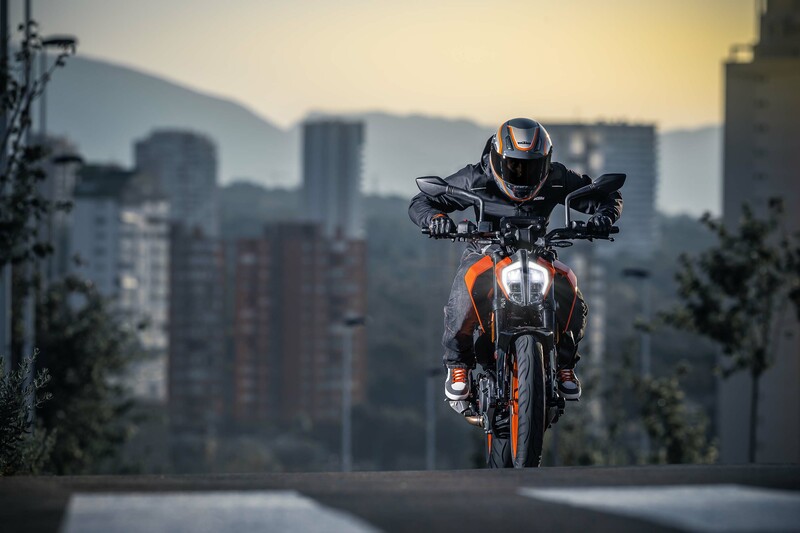 As has been the case with many of KTM’s new model releases, the 2017 KTM 390 Duke will get a similar kendo-styled LED headlight design, which we have already seen debut on the updated KTM 1290 Super Duke R and the recently released KTM 1290 Adventure R.
Bodywork changes come to the 2017 KTM 390 Duke as well, which give the entry-level machine a very edgy look and feel. 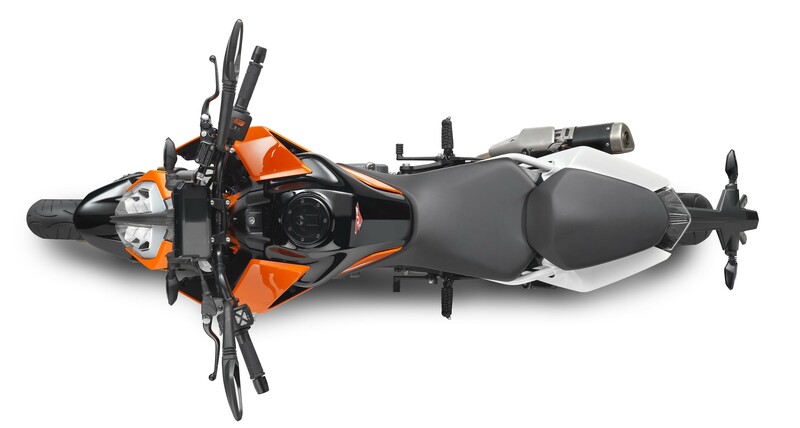 Other changes include an improved ride-by-wire throttle, a full-color TFT dash, and a rear subframe that now bolts directly onto the steel trellis chassis. 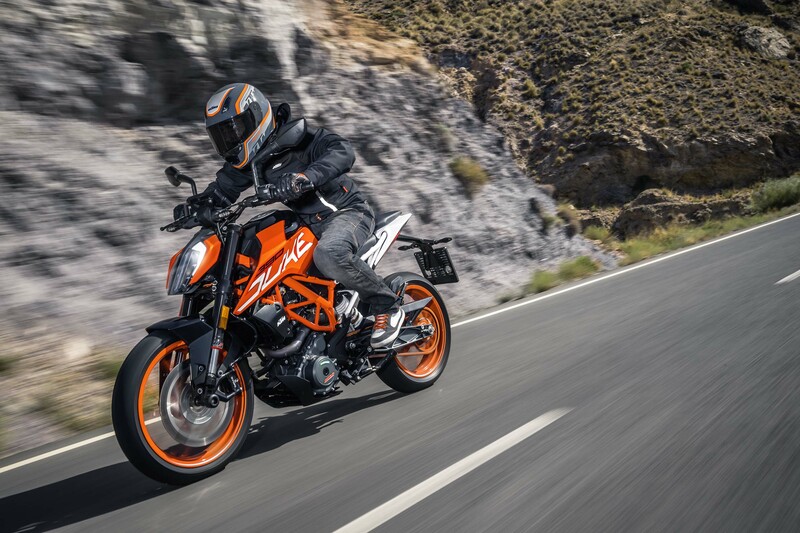 The new subframe also means that the seat design has been changed, and KTM has seen fit to adopt a larger 3.5-gallong fuel tank for the 390 Duke. 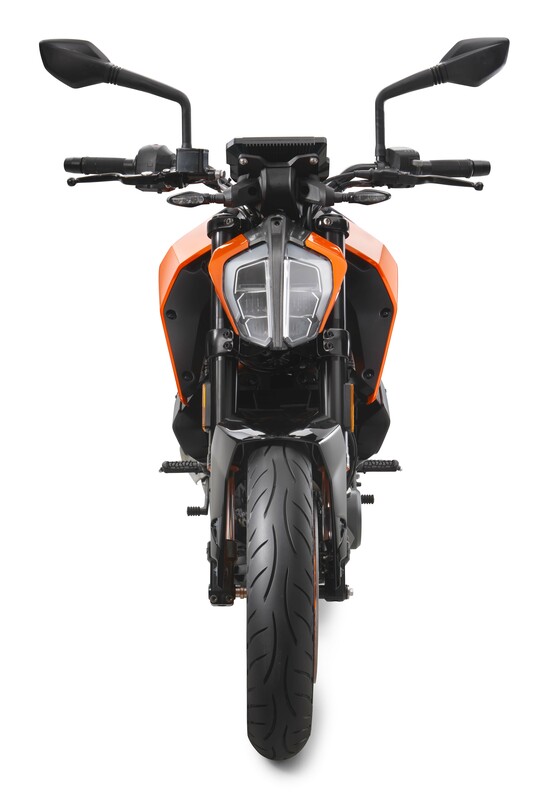 There are new 43mm WP suspension forks to soak up the bumps, and also a 320mm front disc for better stopping power. 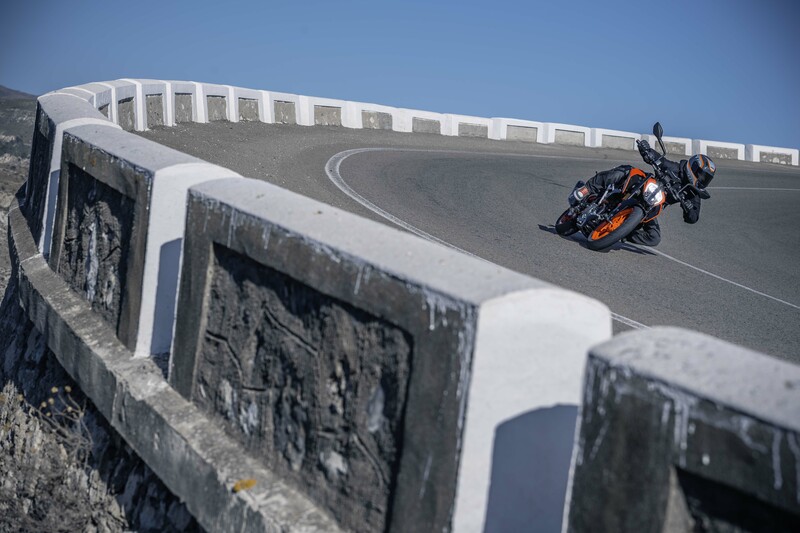 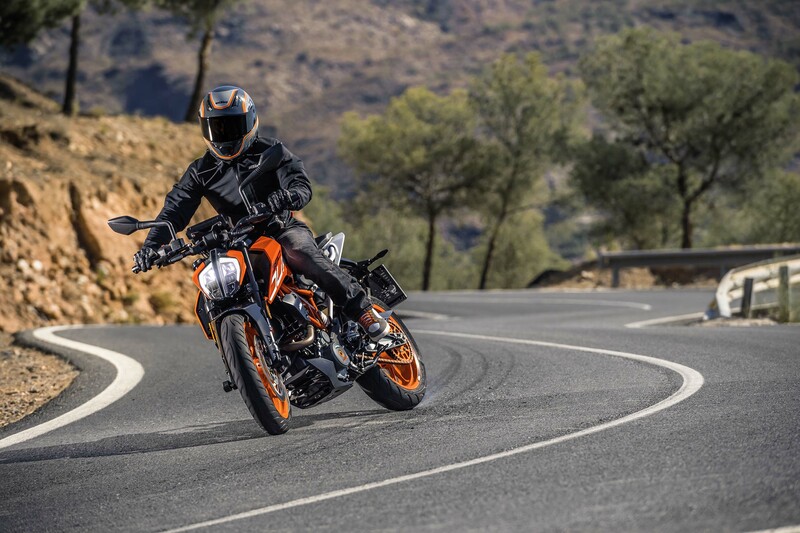 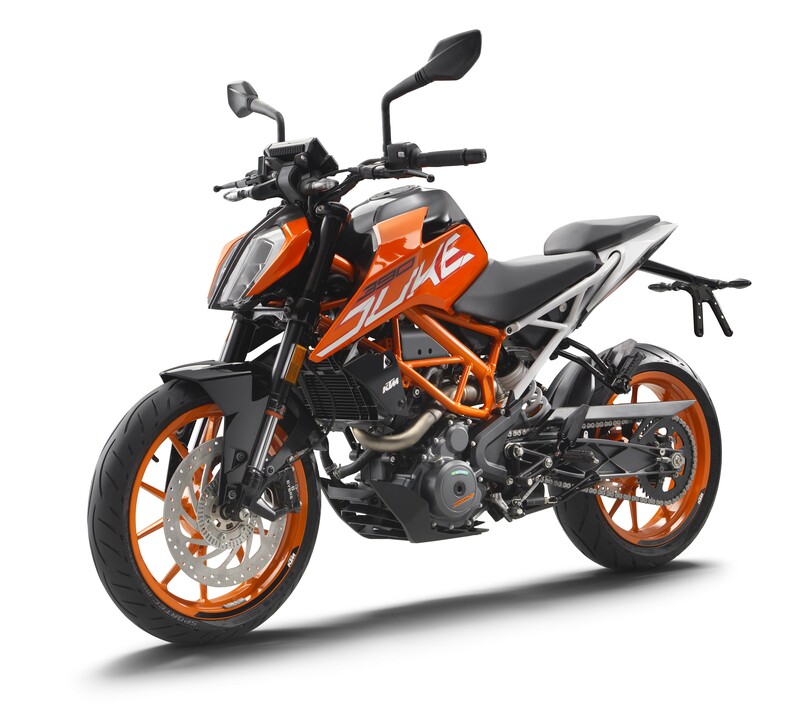 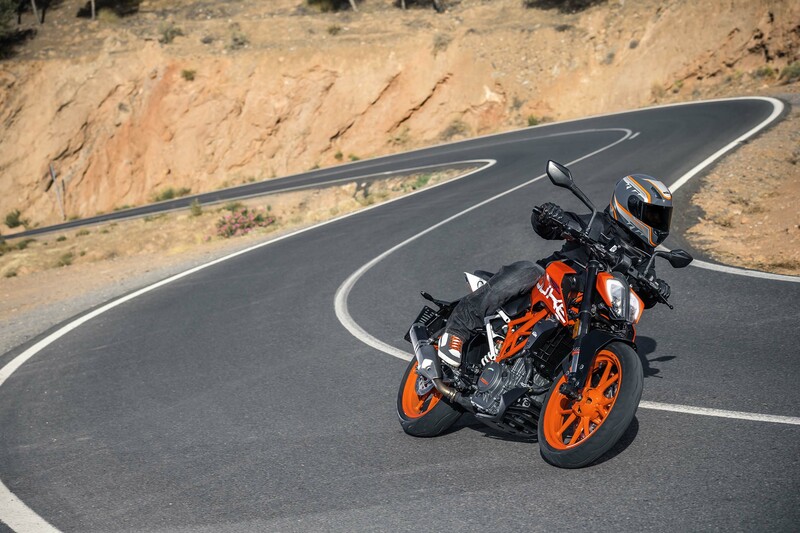 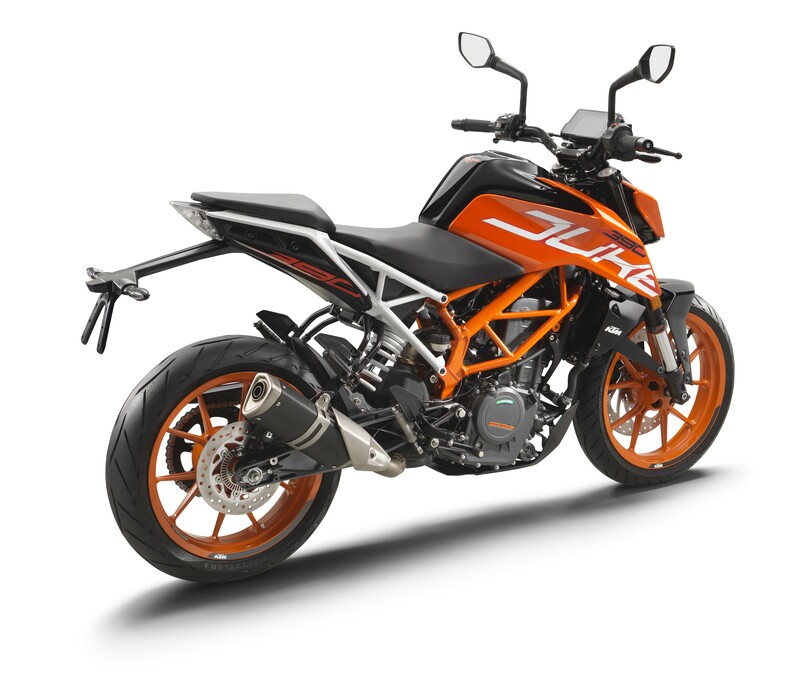 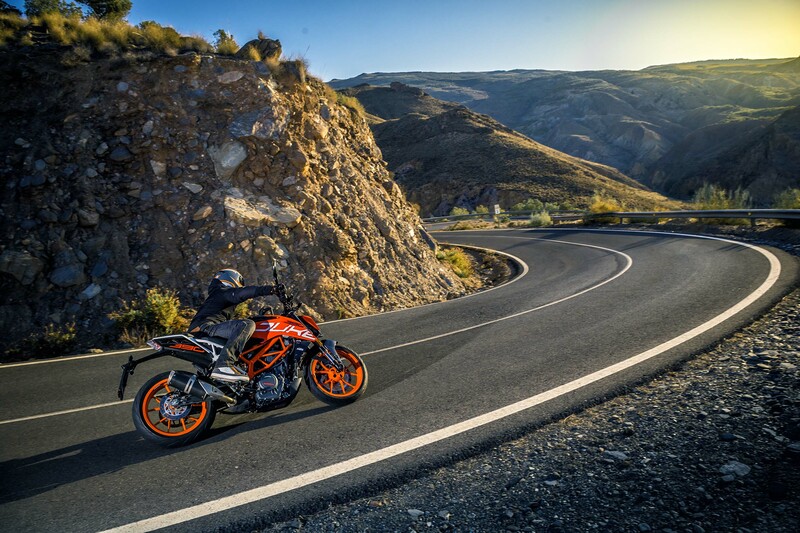 Overall, the changes address many of the complaints levied at the original KTM 390 Duke design, which really should be taken as a compliment since the original model was pretty good out of the box. 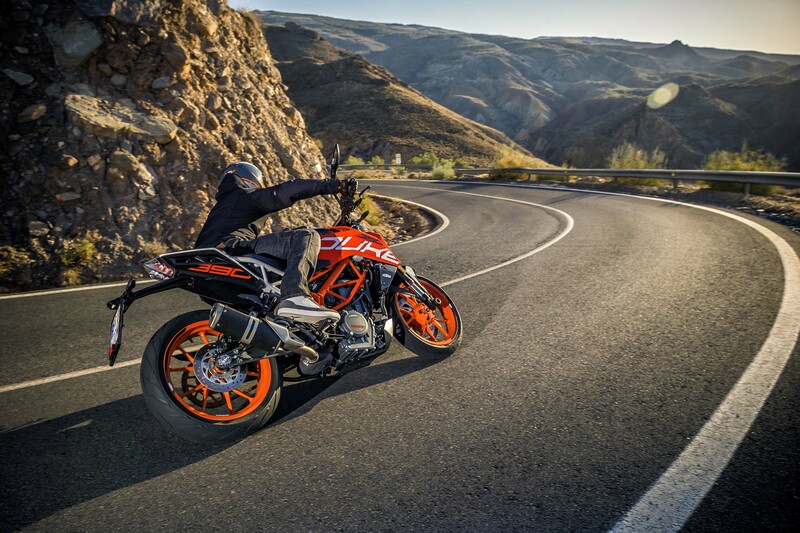 The new bike is quite the looker as well, so it looks like KTM has another hit on its hands.